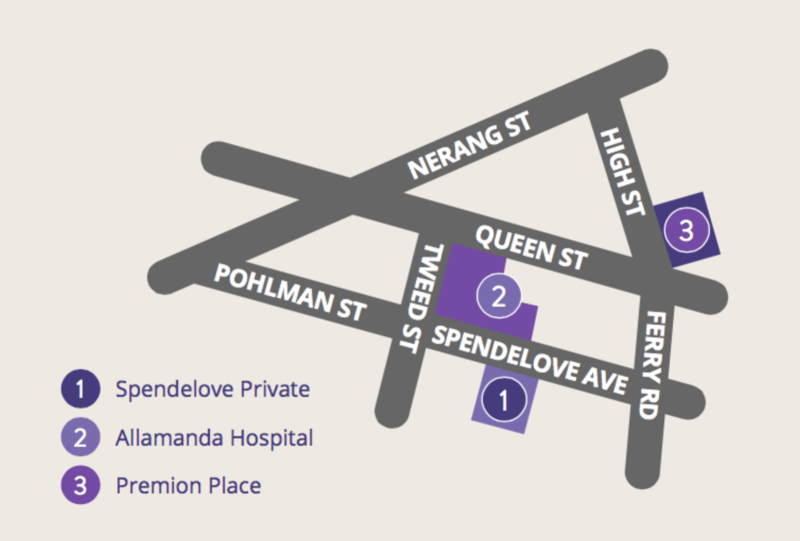 Spendelove Private Hospital is committed to ongoing improvement of patient care in all areas. Whilst Spendelove Private Hospital has an excellent record in delivering quality patient care and managing risks, we continue to focus on improvements to ensure that our services are as safe as possible and that we are minimising risks at all times. The hospital operates under the Clinical Governance Framework based on an integrated approach to clinical risk management and continuous quality improvement. Strategy and policy for ‘whistle blowers’ and promoting and encouraging staff to advise the Executive of matters of concern. SPH meets the standards for accreditation by the Australian Council on Healthcare Standards (ACHS). Staff are oriented and updated on quality and risk systems. Open disclosure between clinicians and consumers is actively promoted throughout the patient’s admission and when unexpected events occur. The hospital is fully accredited with the Australian Council on Healthcare Standards (ACHS). Accreditation is an important element for safety and quality improvement. Through accreditation, the hospital has been able to assess its level of performance in relation to established national and international standards and implement ways to continually improve and achieve better health outcomes for patients. After touching a patient’s environment. The hospital participates in the national hand hygiene strategy through Hand Hygiene Australia. Hand hygiene audits are conducted regularly by our Gold Standard Hand Hygiene Auditors. The hospital’s Hand Hygiene audits show exceptional results at 95% compared to the national average of 80.3%. Visitors to the hospital are encouraged through appropriate signage to use antiseptic hand-rubs located throughout the facility. The risk of falling increases according to age with evidence suggesting that one third of people over the age of 65 years have one or more falls a year. Falls related injuries can include minor skin abrasions, joint dislocation, fractures and head injuries. These injuries may result in hospitalisation or an increased length of stay in hospital. The risk of falling can greatly increase when admitted to hospital due to a range of factors including illness and unsteadiness, adapting to a new environment, the introduction of new medications and walking in unsafe footwear or slippers. The hospital’s Falls Prevention brochure entitled ‘Keeping on your Feet’ has more information on preventing falls. Pressure injuries are wounds which form as a result of prolonged pressure to an area of skin. Pressure injuries are recognised worldwide as a common cause of harm to patients and can cause significant pain and discomfort which may result in a slower recovery for patients. Spendelove Private Hospital is well equipped with the latest equipment to assist staff to prevent these injuries occurring. Patients are risk-assessed on admission using an evidenced-based tool. Staff members follow a care plan which is targeted to minimising a patient’s risk of developing a pressure injury for those patients assessed as high risk. This includes inspecting the patient’s skin frequently, managing moisture, keeping the skin dry, optimising nutrition and hydration and moving the patient frequently or using special pressure relieving mattresses when needed. Spendelove Private Hospital’s ‘Pressure Injury Prevention’ brochure has more information on preventing pressure injuries. The hospital’s Water Quality Risk Management Plan has been designed to effectively and proactively manage water quality risks by anticipation, recognition, assessment, evaluation and control of these risks by ensuring water quality risks are well understood and prevented or mitigated. Spendelove Private Hospital installed a new ‘State of the Art’ water system in 2013 and all microbial water sample testing to date has produced exceptional results.